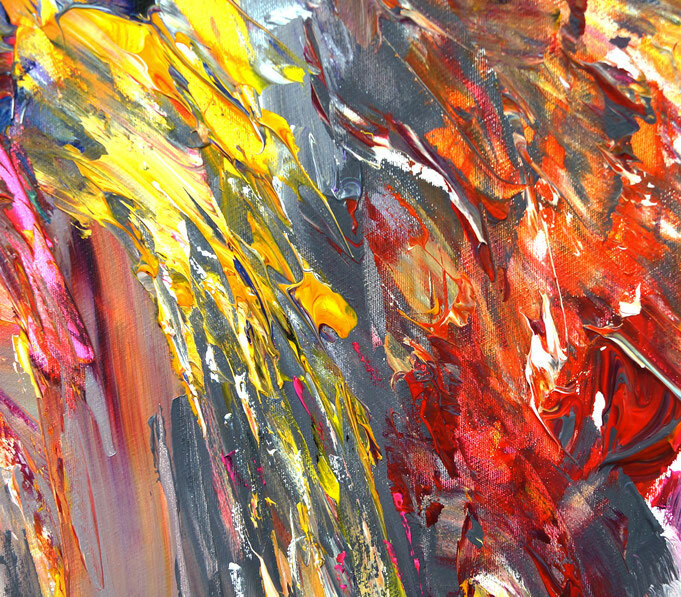 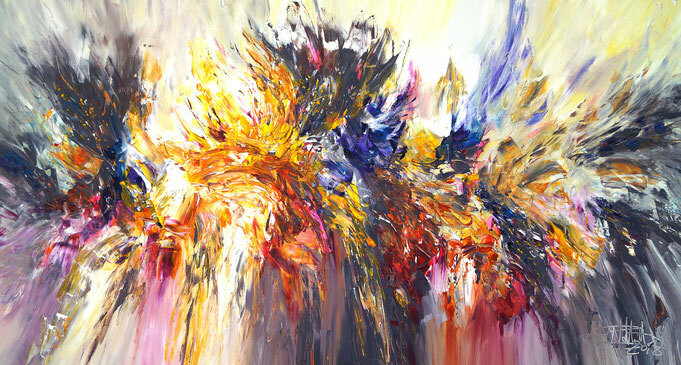 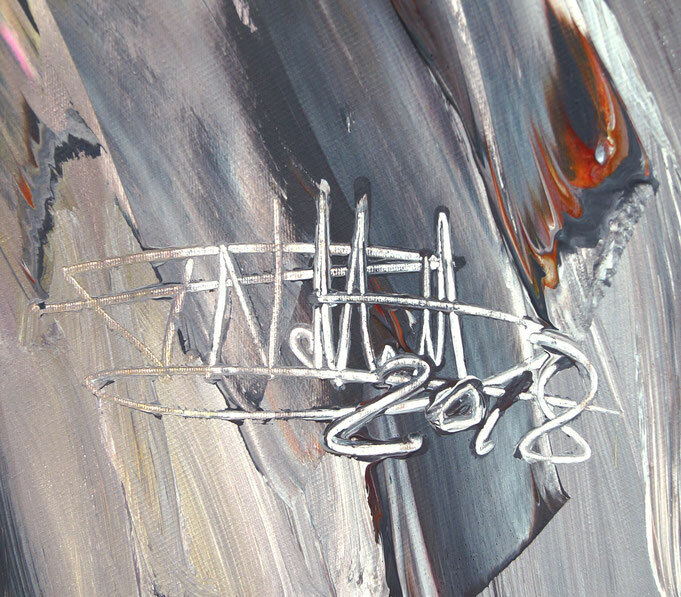 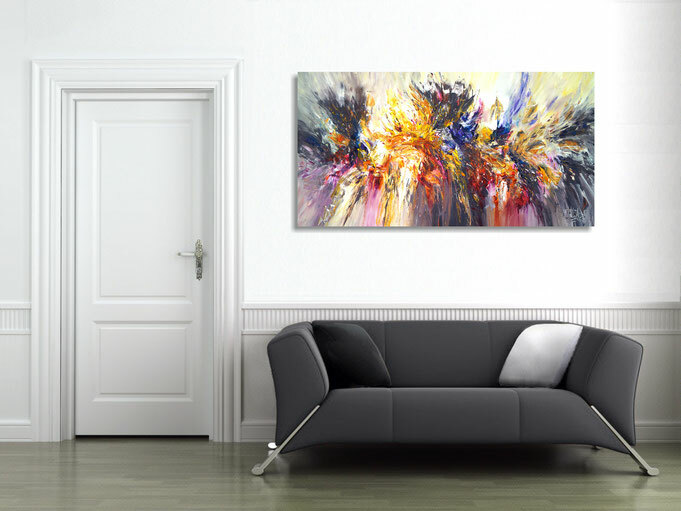 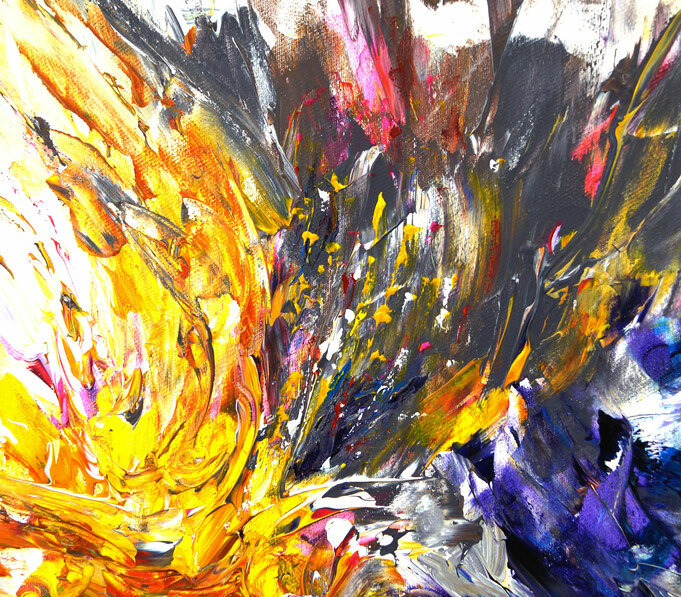 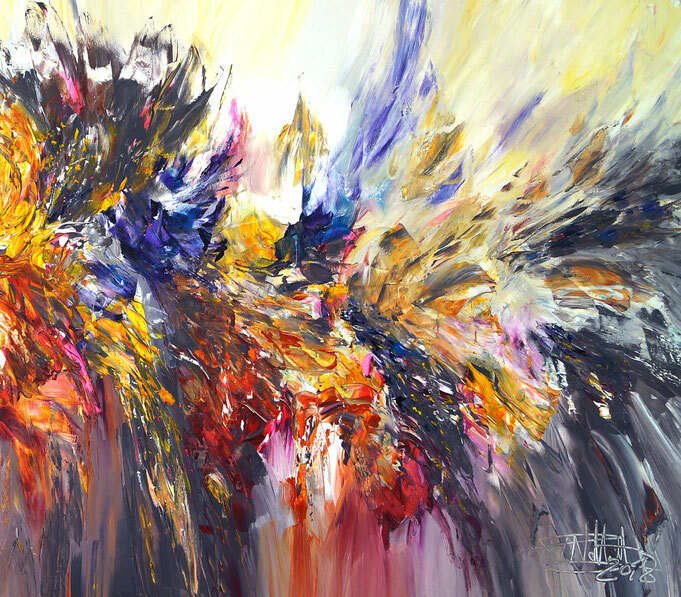 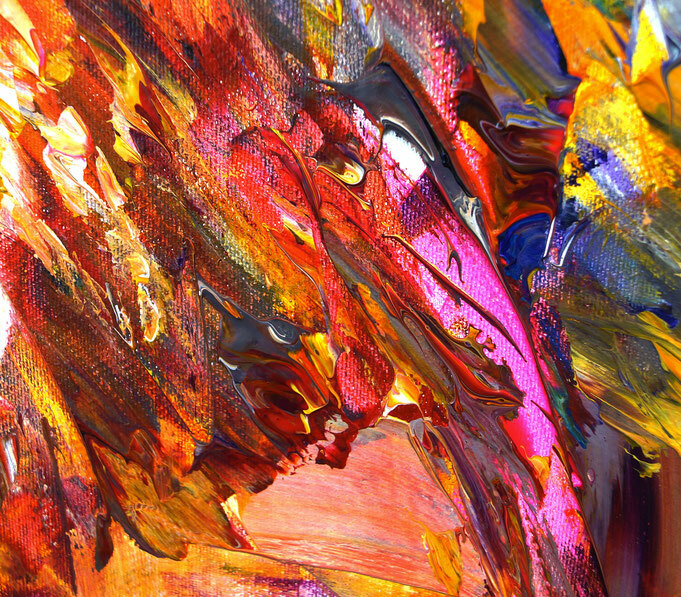 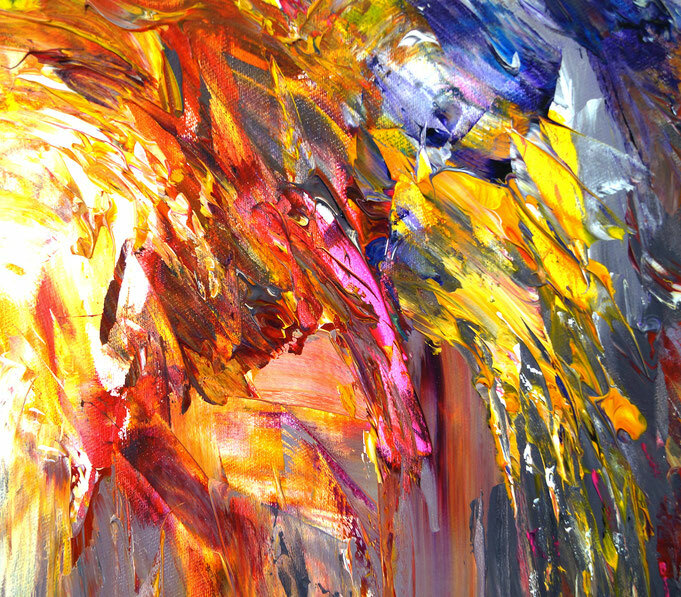 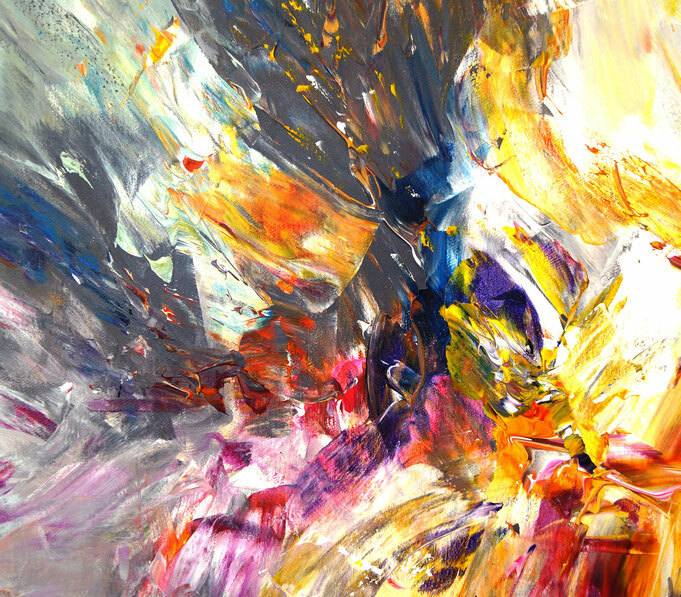 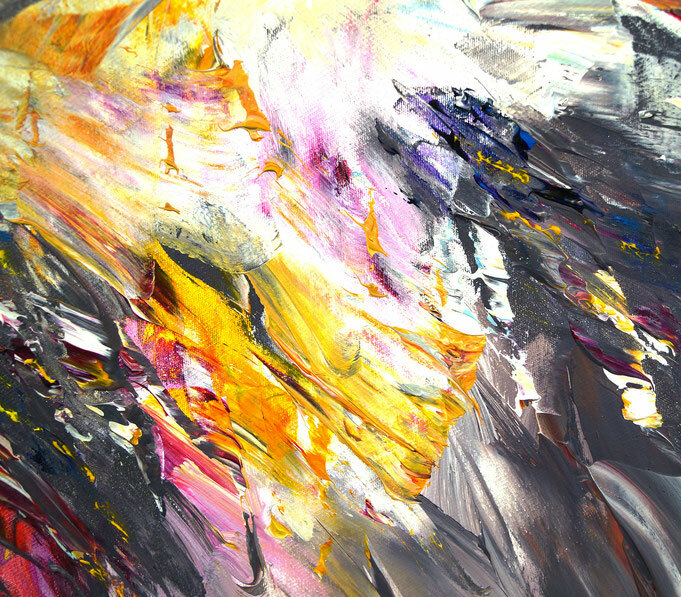 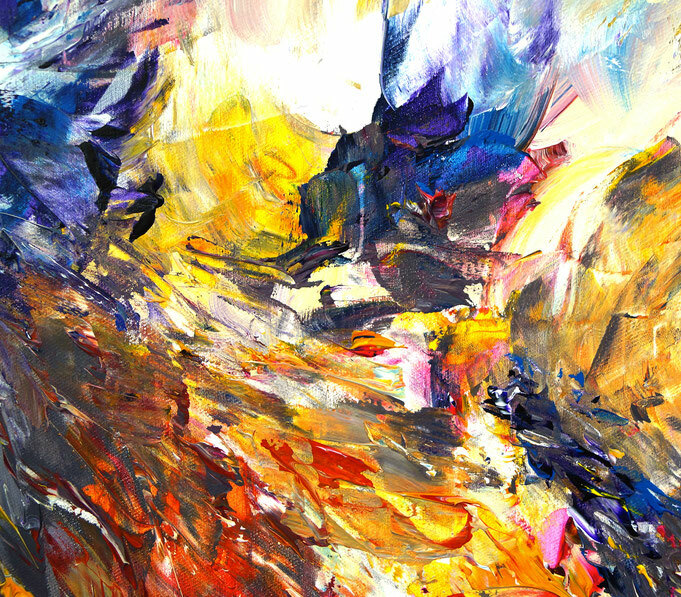 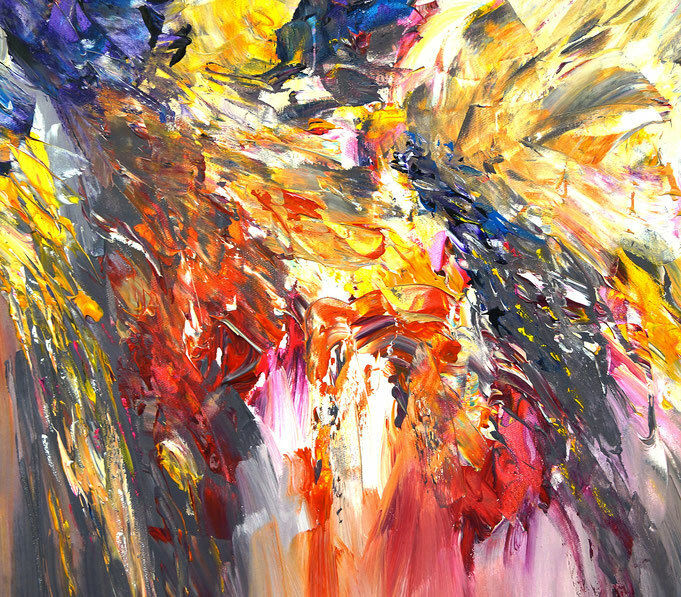 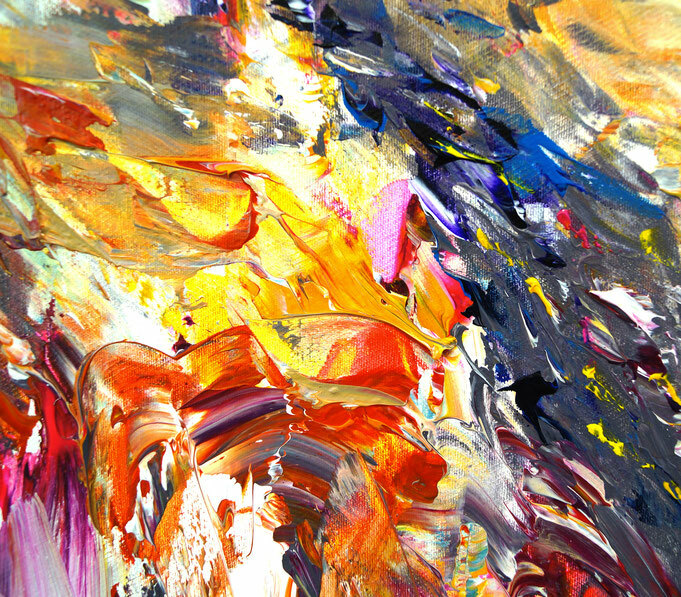 The diversity of the feeling as an abstract painting with fiery bright, soft or dark shades in red, orange, yellow, white, magenta and on the side of the dark, cold colors blue and anthracite. 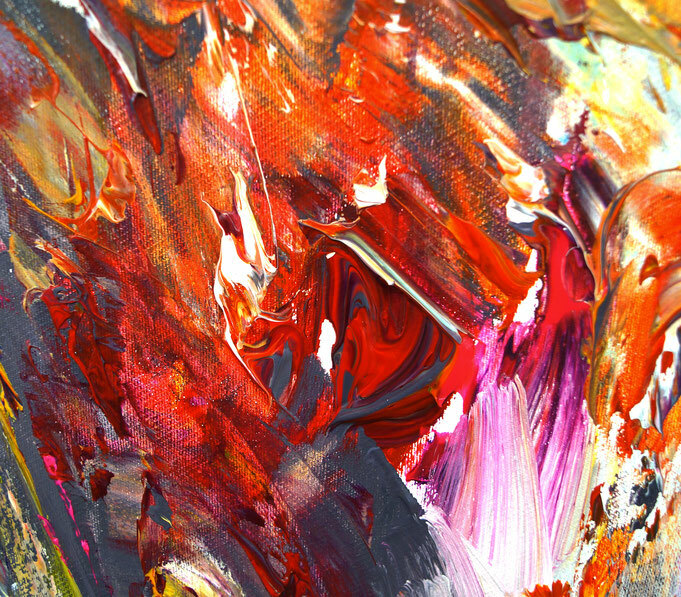 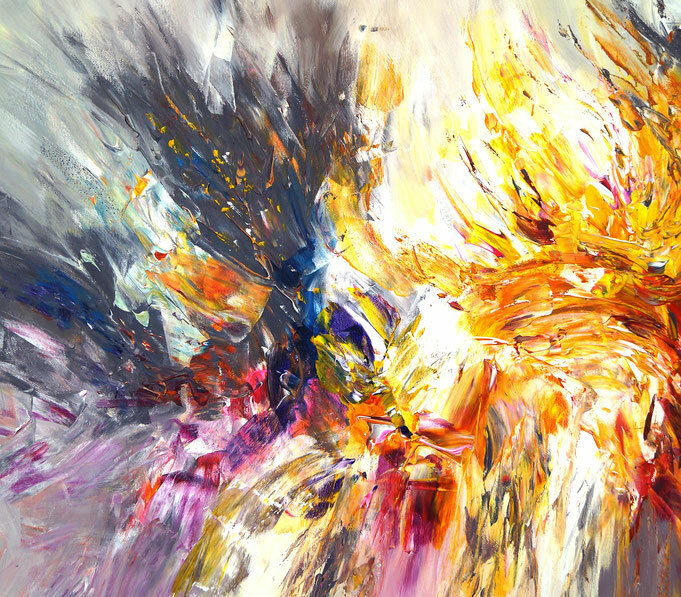 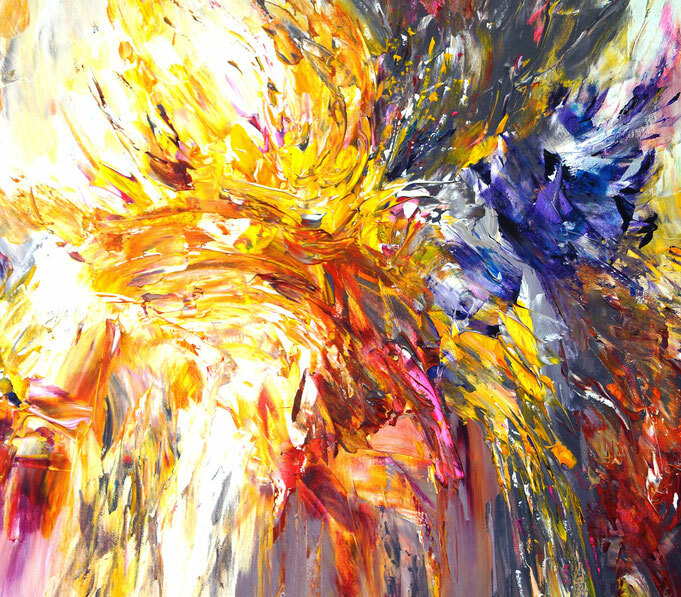 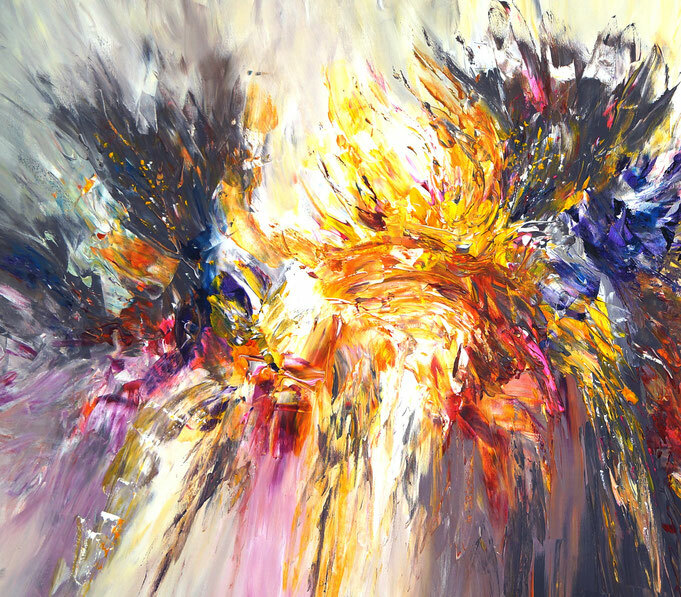 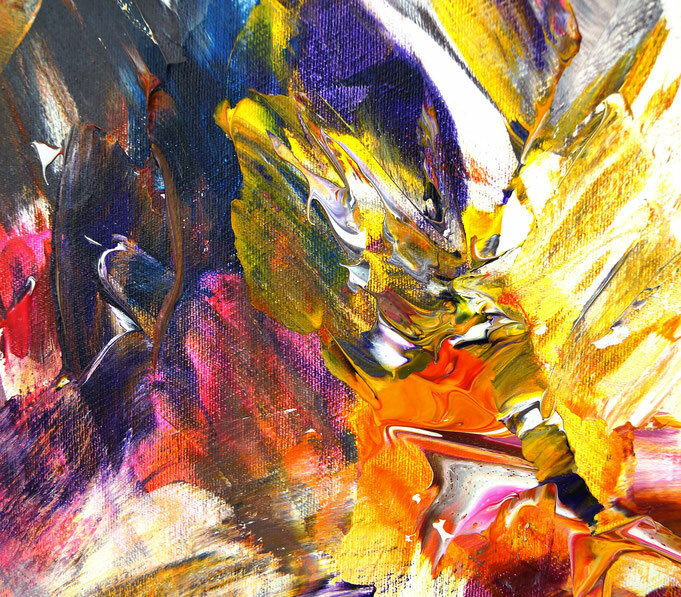 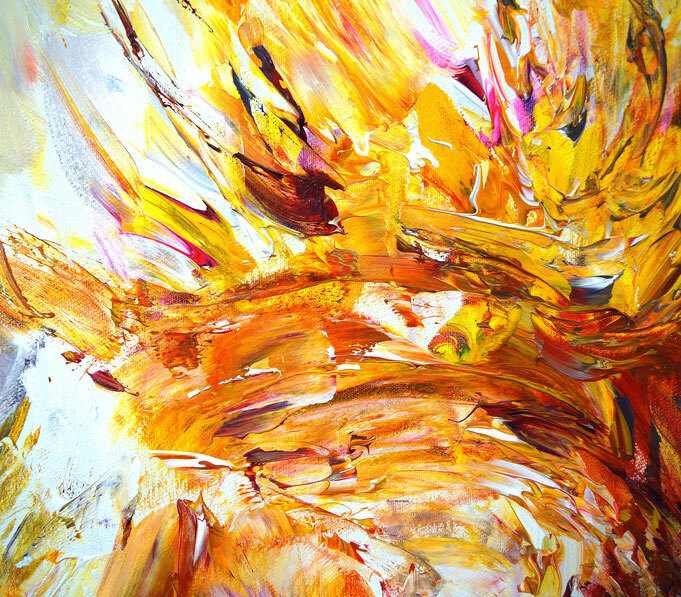 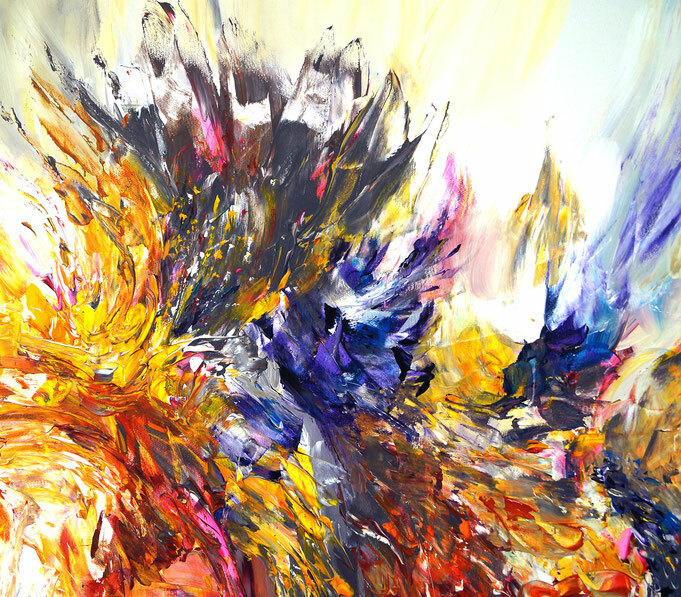 A dynamic color formation, which seems to pour out life and invites its viewer to linger. 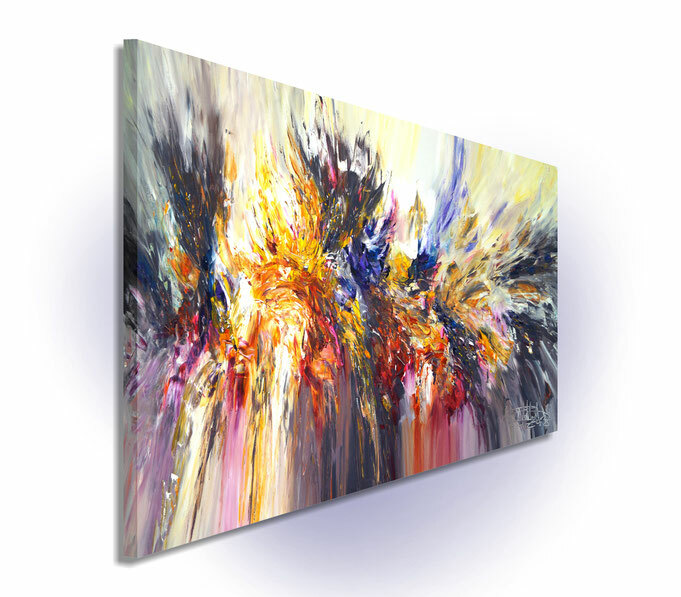 The abstract painting in the finished clamped to the wall .